The end of a marriage is a difficult time. At the Law Office of Karen Schoenau, we understand this. 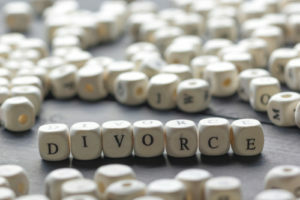 Our experienced Scottsdale divorce attorney will be there to support you throughout the marriage dissolution process. We will act as forceful advocates to protect your interests with our thorough knowledge of divorce law in Arizona, the use of strategic negotiation and courtroom action. Whether you are planning for divorce or have already filed for divorce, it is important that you consult with an attorney. Arizona is a no-fault divorce state, which means that things like adultery, abandonment and misconduct have no bearing on how the court determines issues in your divorce. The only time any kind of fault may come into play is if there are allegations that directly affect the best interests of the children. For answers to frequently asked questions about divorce in Arizona, click here. Just as every marriage is unique, so too is the end of every marriage. At the Law Office of Karen Schoenau, our legal team can handle every type of divorce situation, from uncontested divorces to divorce reached by agreement. We are also skilled in handling the special issues that arise in the context of military divorce and in physician divorces. If you prefer to avoid the time and expense of traditional litigation, we can help guide you through the divorce mediation process. In every case, you can rely on our more than two decades of experience to help protect your interests. From asset division to child custody, we can guide you through the marriage dissolution process and handle all related issues. Contact our Phoenix divorce attorney online or call 480-467-3435 to schedule an initial consultation to discuss your case. We will guide you through the legal process as quickly and as painlessly as possible.